William Soeryadjaya is the founder of PT Astra International, a hardworking, tenacious and unyielding to build a business empire tycoon bisnisnya.Bagaimanakah travel stories Majalengka eminent merchant named child Tjia Kian Liong's original? Acted business man born in Majalengka, West Java, December 20, 1922, it actually begins with a bitter, bitter. William had been orphaned at age 12. The age of 19 years, his school in MULO, Cirebon, broke up in the middle of the road. He then swerved into a paper merchant in Cirebon. In addition to paper trade, William Young also sells yarn in Majalaya. Not so long ago, he turned to traders of agricultural products, such as peanut oil, rice, and sugar. "By trade, I can help the lives of my brothers," said the second of five children of this merchant family, at one time. From the acquisition of the trade, the young William then continued his studies in the Netherlands, by going to Middlebare Vakschool V / d Leder & Schoen Industrie Waalwijk, schools that teach tannery industries. Once returned to the country in 1949, William founded the leather tanning industry, which kepengurusannya he handed to a friend. Three years later, William founded the CV Sanggabuana, engaged in trading and import-export. Just cilakanya, in the business, he deceived his colleagues. "My loss of millions of DM," says William. Five years later, or more precisely 1957, Tjia Kian Tie with Drs, sister, and Lim Peng Hong, his friend, William established PT Astra International Inc.. This new business was at first only move in the soft drink brand marketing Prem Club, then added by exporting agricultural products. In subsequent developments, arable land extends to the business sector astra automotive, heavy equipment, office equipment, timber, and so forth. Astra grow like a "shade tree", as William ditamsilkan own. "You can imagine how our advantage," said Oom Willem, her nickname, at the time. Since then, the Astra is often designated as partners with the government in providing a variety of development tools. In subsequent trips, the Astra is not only limited supply, but also began to assemble his own Chevrolet trucks. Then, mengageni and assemble heavy machinery, Komatsu, Toyota, and Daihatsu, Honda motorcycles, and Xerox copiers. The next one also, finally lands a new business is a "money machine" of PT Astra International Inc.. There remains one other ongoing business, namely agribusiness. Astra a turnover in 1984 reached 1.5 billion U.S. dollars into agro-business by opening a coconut farm area of ​​15,000 hectares and casava in Lampung. However, open it for no reason Astra went into the agribusiness sector. "Agribusiness is seeking an increase in production in the agricultural sector it is an idea worthy of government responded to all the entrepreneurs Indonesia," William said in his lecture at Parahyangan Catholic University in 1984. In that year also bought the Summa Handels Ag Astra, Deulsdorf, Germany. Bank management has nothing to do with the ongoing business was left to his eldest son, Edward Soeryadjaya, undergraduate economics graduate of West Germany. In this bank William pocketed 60 percent stake divided equally with Edward. Only, unfortunately, Edward less careful in running the banking business. Edward was too generous in credit indulgence. As a result, in 1992 the bank was hit by a huge debt and to pay it off, William was forced off its stake in Astra. William resigned. He always returned to God. He has always adhered to the principle: Man tried, God disposes. The most important to him as it is the fate of employees and customers of Bank Summa. He was greatly saddened to think that many employees have lost their livelihoods. Therefore it would sell its stake in Astra to meet the obligations of Bank Summa. A lot of speculation that develops when Oom Willem forced to sell its stake in Astra. Speculation that a lot of people are believed to bring down the government engineered Oom Willem. However, Oom Willem himself never felt victimized by the system. All it sees as a consequence of business. He did not want to dissolve in the pressure of speculation and complaints. But he was resigned to the will of God sincerely. With the sincerity of that, he continued to move forward with lively hope. And, now, one of the biggest concerns is how the Astra can continue to act as an agent of national economic growth, which among others could open up wider job opportunities. Indeed, job opportunities, is one dream that still smoldering from the past until now. A dream and an obsession that is based on concern for others. "One of my first desire is to create jobs," he said. Moreover, the current condition of Indonesia, the economic crisis, which resulted in increased unemployment. Dream is what drives Omm Wilem buy 10 million shares of PT Mandiri Intifinance. Here, he raised funds to be invested into the development of small farmers and small and medium enterprises (small businesses and medium enterprises). In order to create jobs, new jobs and increase purchasing power, which in turn will lift this nation from the downturn. However, a commendable attitude of William during his heyday in the Astra is a concern for his colleague, the small businessman. In his writings on a daily Suara Karya, "Large Employers' Role In Cooperation with the Small Business Success for Pelita IV", explores the forms of cooperation between large and small. For example, large firms make a market of small companies in the form of leadership and a small company as part of the service network of the company's products. Her other, which is also enviable, is the concern for education. William gave up his land in Cilandak, South Jakarta, was sold for "tilt" to the Institute building Prasetya Mulya, educational institutions that are meant to print personnel managers are reliable. A number of conglomerates also gave birth to the institution. William himself was then sitting as a Deputy Chairman of the Board of Trustees. Any religious attitude is one good example in running their business. Protestants who firmly believes that success is well earned, other than hard work with all employees, also thanks to the grace of God, not only of himself. Passion in business should be role models. If he terjegal in the business arena, it is not the end of the travel business, but rather the beginning of his resurrection. William Soeryadjaya, the founder of PT Astra International Inc. (since 1990, Inc.), died on Friday (2/4/2010) at 22:43 on Medistra Hospital, South Jakarta. William previously treated multiple times because of illness. Finally, she was admitted on March 10 and since Thursday (1/4/2010) admitted to the intensive care unit (ICU). The bodies buried in a funeral home Gatot Subroto Army Hospital, Central Jakarta, until Monday (5/4/2010). 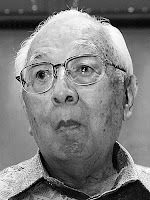 William was born in Majalengka, West Java, December 20, 1922, is a humble person, and unpretentious. Astra International to build its success has never been claimed as a success of himself. When asked about his success, he said, "The success of Astra thanks to the hard work of all employees and the grace of God, not because of my personal success." William was also a visionary who seemed to understand where the business will move. He also is one of the pioneers of the modernization of the national automotive industry. He built a business network with the core product in the automotive sector. But, indeed, the growth of its business is never free from government interference. His success in business to make it occupy many important positions in several companies, mainly based automotive. William became the first Asian to become a member of the Board of Trustees of The Asia Society, founded John D Rockefeller III in New York, USA, 1956. He withdrew from the business world in 1992 when the Bank Summa's son, Edward, collapse and must be liquidated so that the force release 100 million shares of Astra International to pay off its obligations. He died at the age of 78 years, exactly on Friday (2/4/2010).